Sustaining Conflict develops a groundbreaking theory of political apathy, using a combination of ethnographic material, narrative, and political, cultural, and feminist theory. It examines how the status quo is maintained in Israel-Palestine, even by the activities of Jewish Israelis who are working against the occupation of Palestinian territories. 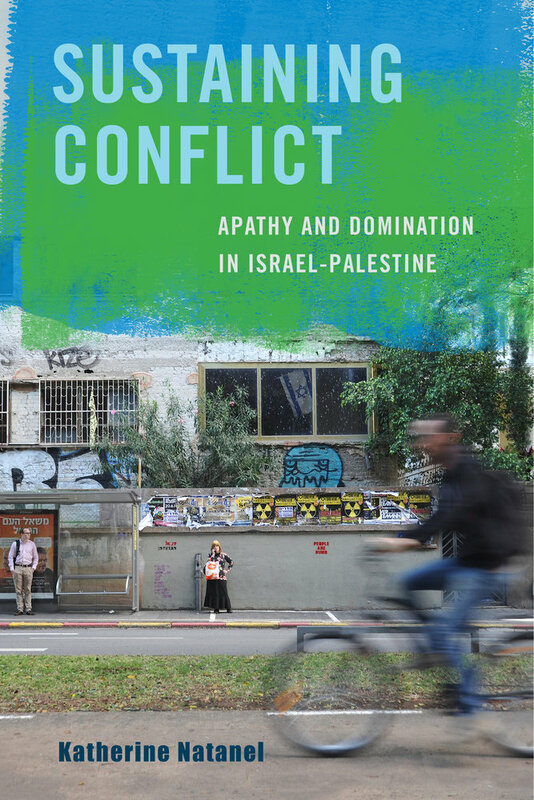 The book shows how hierarchies and fault lines in Israeli politics lead to fragmentation, and how even oppositional power becomes routine over time. Most importantly, the book exposes how the occupation is sustained through a carefully crafted system that allows sympathetic Israelis to “knowingly not know,” further disconnecting them from the plight of Palestinians. While focusing on Israel, this is a book that has lessons for how any authoritarian regime is sustained through apathy. Katherine Natanel is a Lecturer in Gender Studies at the Institute of Arab and Islamic Studies, University of Exeter.